The most simple divorce case is not easy. Without question, there are difficult emotional and financial aspects to any dissolution of marriage. But certain cases are simply more complicated and unconventional than others, requiring the parties – and their attorneys — to be fully apprised of the most current laws applicable to family law matters. It is often argued that parties to divorce cases that involve children are especially encouraged to engage a family law attorney to handle the matter. If you are considering divorce, you are encouraged to contact an experienced family law attorney who is aware of the local laws and procedures affecting San Diego family court matters. A highly unusual case making recent headlines concerns a bitter divorce between a former host of “The View” — Sherri Shepherd and her T.V. writer, husband — Lamar Sally. According to a recent news article, the couple is seeking to divorce after just three years of marriage, and after commissioning a surrogate to have a baby for them through in-vitro fertilization. The embryo was created using a donated egg and Sally’s sperm. To add to this complicated scenario, there have been reports that Shepherd does not intend to raise the child, pay for any related expenses, and wants no parental rights or responsibilities. The child is due to be born later this month. On May 2nd, Sally filed a separation petition in Los Angeles Superior Court citing irreconcilable differences. Four days later Shepherd responded by filing divorce papers in New Jersey where the couple had lived together. Interestingly enough, California recently passed a law recognizing surrogate births as valid, whereas New Jersey generally does not recognize the validity of surrogate birth arrangements. Sally is requesting full legal and physical custody of the child and is asking the court to declare the prenuptial agreement to be invalid due to fraud. There are many issues embedded in this case: the validity of the prenuptial agreement, Shepherd’s legal responsibility to the unborn child (if any), and whether California or New Jersey is the appropriate jurisdiction to oversee the divorce, just to name a few. Further, reports indicated that there is a great disparity of income between the spouses: Shepherd reportedly earned $1 million in 2010, compared to Sally’s earnings of $30,000 that year. Prenuptial agreements, also known as premarital agreements, are not uncommon in San Diego. But they must adhere to certain legal standards in order for a court to enforce the terms. Under California law, a premarital agreement is not enforceable if the party against whom enforcement is sought can prove either of the following: a) that party did not sign the agreement voluntarily or, b) the agreement was unconscionable when it was signed, in addition to a variety of other factors. It will be interesting to see how the California court proceeds with this highly publicized divorce case. This matter is filled with a myriad of complicated issues and certainly illustrates the importance of consulting an experienced family law attorney to protect your rights. 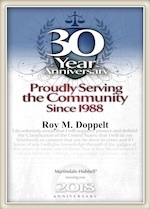 Roy M. Doppelt is a seasoned divorce attorney who has more than 20 years of experience assisting clients throughout the State of California with all of their family law needs. Mr. Doppelt is available to help you draft a prenuptial agreement that fits your individual situation. Doppelt and Forney, APLC serves clients in San Diego, Encinitas, Scripps Ranch, Linda Vista, and throughout Southern California. To schedule a free confidential consultation, call Doppelt and Forney, APLC toll-free at (800) ROY IS IT (769-4748) or contact us through the law firm’s website.